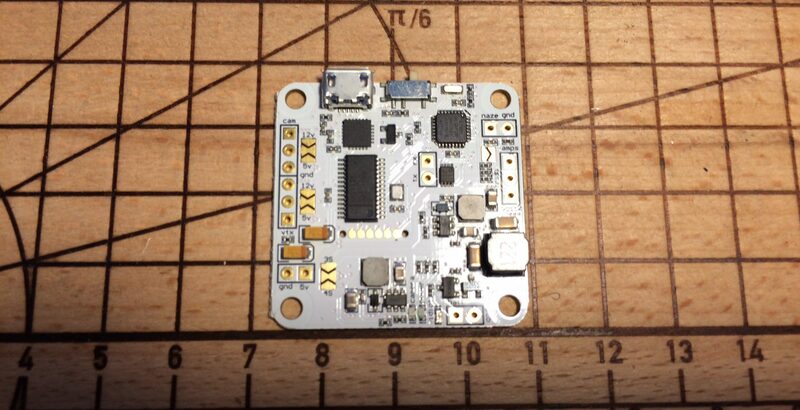 The OSDoge is an OSD board, that comes with some handy features and it works great as a companion for the Naze32 flight controller, so I decided to install it on my QAV 250 build. I can stack it on my Naze32 and it has not only the OSD feature, there is an integrated LC Filter, which removes noise from the transmitted video signal. Additionally, it has a mini USB port, so I can directly connect the Board to my computer and configure all the settings of the OSD. Which helps, to create a real clean build. The best feature is, that one can configure the PID rates right via the transmitted data on the OSD, so you don’t need to plug your flight controller to your computer, to make some minor changes and justifications. Taken all the needed parts by itself, it would be even pricier to get all the features, the OSDoge comes with. Furthermore, it is extremely hard to make clean build, including all the components. Concluding all these facts, the OSDoge might be the best thing one can get, when it comes to FPV flying with a Naze32 board. That’s not the whole story, since there is a major design flaw in the board of the first generation, it’s the capacitor, that’s actually missing on the next picture. The capacitor is around 6mm high and has a diameter of 6,3mm. When it comes to a crash and the board is not covered, the capacitor might simply break due to its relatively huge size. That’s what happened to me recently. I wasn’t quite sure, whether I can fix it, since it only has very small soldering pads, but I managed to replace the missing capacitor with this one, as seen in the next image. It is not the original one, but it has a capacitance of 100µF and a voltage rating of 16V, so it should be enough to do the job. Which it actually does. It fits quite good, just the FPV cam wiring is a bit close to the cap, but that might be ok, since there are no big movements or vibrations around there. Not sure, whether I could repair it at all, I ordered another OSDoge, the current production line is version 1 1/2, that already suggests some production progress and as you can see in the following image, the creators of the OSDoge had that issue in mind and resolved it with the new OSDoge 1 1/2 by removing the high cap. 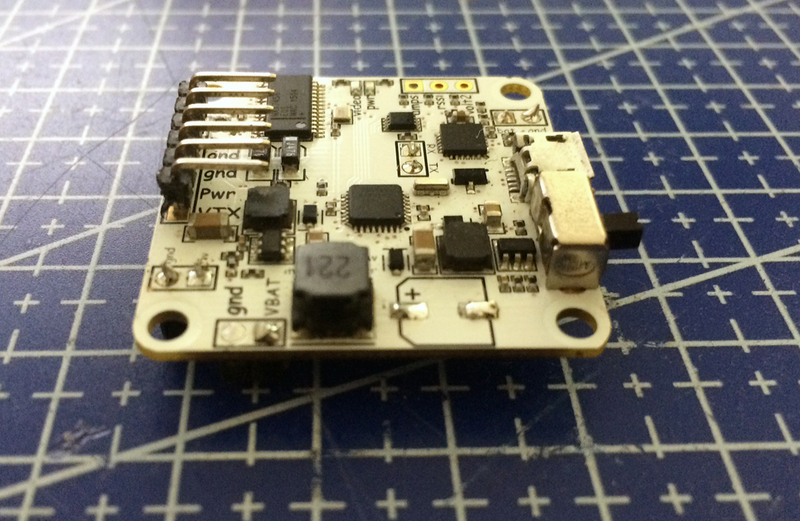 The new one has a slightly different layout, so the USB port is aligned to the USB port of the Naze32 Revision 6. Nicely done! To me happened with the other component, with the 221 would you know what is it? Having a hard time to find it and make the repair. Interesting to see that this small thing can break off as well. Hey Dan, thank you so much, I will order the component and try it out, will let you know as it’s tested. Thanks again !